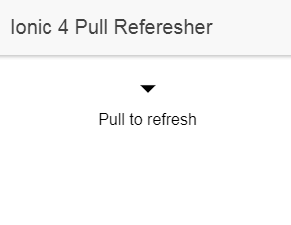 //Emitted while the user is pulling down the content and exposing the refresher. //Emitted when the user begins to start pulling down. 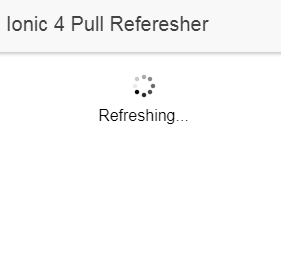 Here we implemented pull to refresh in Ionic 4 application, this component emits event which we can you to refresh the current view, this feature really adds a good usability to users.